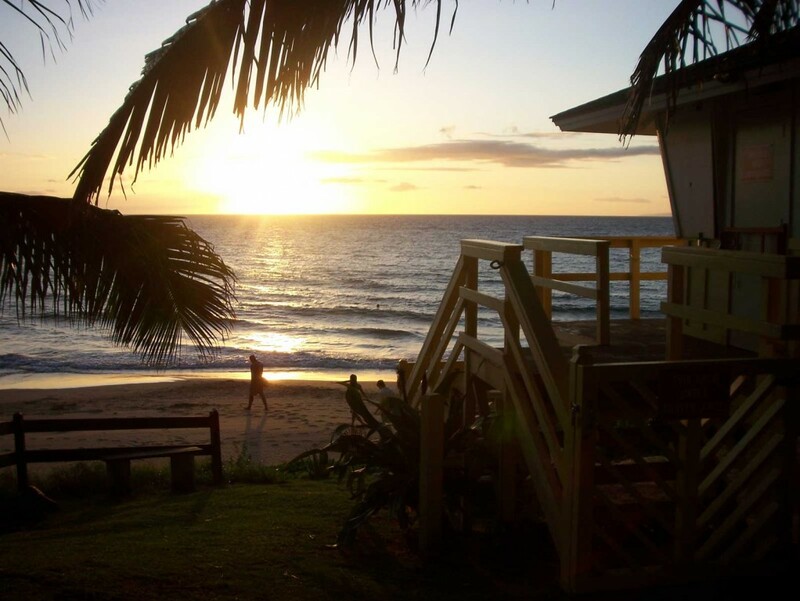 South Kihei on the island of Maui has a great view to the west, affording beautiful sunsets over yellow-sand beaches. Three adjacent beaches, Kamaole I, II, and III, give ample viewing space for the nightly spectacle. You’ll often see hundreds stop and stare into the distance to watch as the sun dips into the ocean or behind Lanai, depending on the time of year. The overlooked channel here between Maui, Kahoolawe, and Lanai is also one of the best spots in the islands to watch humpback whales between January and April. The humpbacks make this their winter home and do not disappoint with displays to onlookers.